My wedding guest today was going to be an actual wedding guest but it didn't quite work out :(. So instead, the lovely Allison is here to share some wedding prettiness with you! Allison is awesome and I am so excited to see more of her wedding plans! 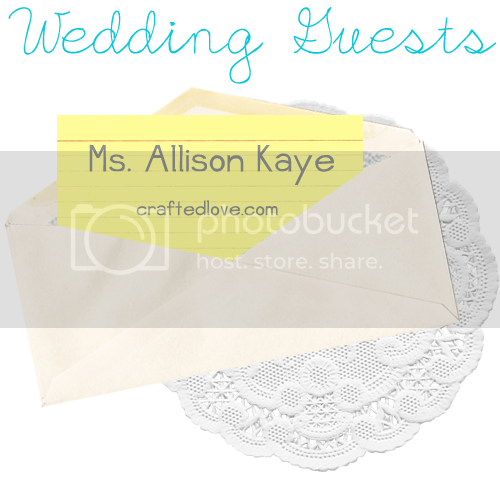 Hello lovely readers of miss Elycia [soon to be MRS. Elycia] Allison Kaye of Crafted Love here. Originally I was supposed to be driving to Canada to be at Elycia's wedding this weekend but unfortunately with this not so lovely economy here in the States and unforeseen expenses, the trip ended up falling through :( So instead, I'm helping blog-sit for Elycia while she and Ivan tie the knot! I couldn't be happier for them! I happen to be a newly engaged lady myself so I thought it might be fun to share some of my favorite wedding inspiration in celebration of Elycia and Ivan's big day! I love the big tree in the background... so pretty!!! 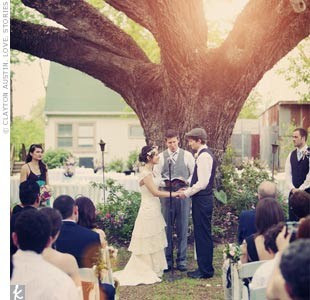 If Ohio's weather was more predictable, an outdoor reception would be so cute. 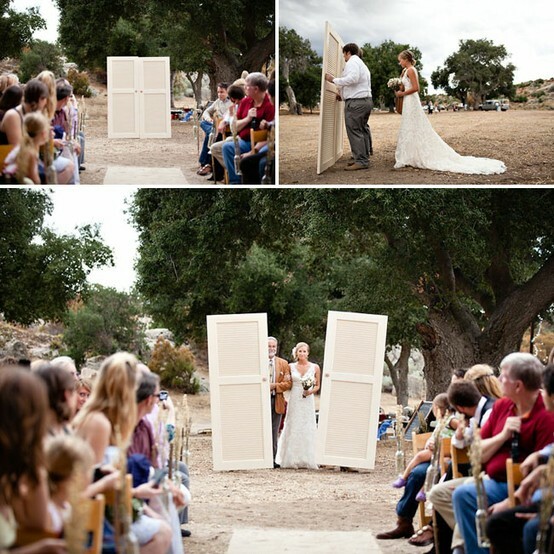 These doors held up by ushers would be the perfect way to still have your grand entrance even in the open air! 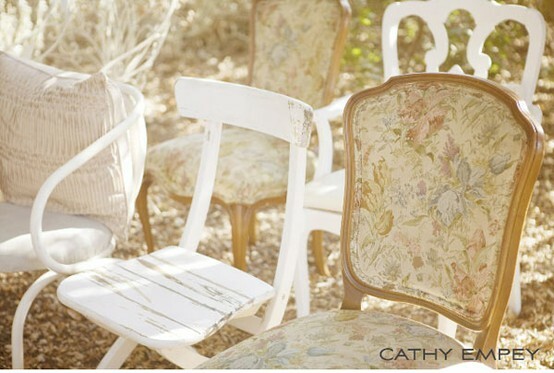 I love the idea of mismatched chairs. Depending on how many people in your family/friends could contribute, you could save a ton on rentals while making your rustic wedding even cuter! I'm a huge fan of photo booths at weddings. 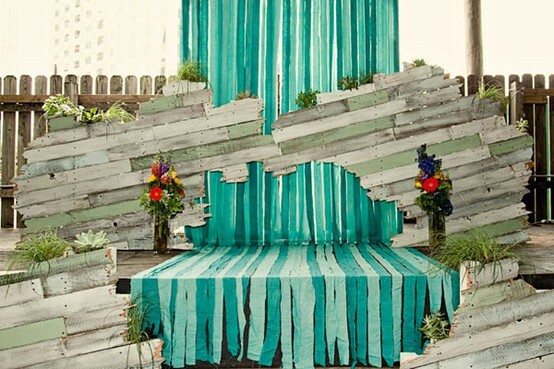 While I think this was meant to be the alter for an outdoor wedding, can't you just see goofy guest pictures being snapped in front of this stage? Definitely for the handy couple! I'm so sad I won't be able to make it to Elycia's wedding because after many many many Skype dates, I know it's going to be magical! We have very similar taste when it came to weddingness so it was a lot of fun chatting over the weeks. I wish Elycia and Ivan all the best on their big day and hope it is completely stress free and fun [I know it will be] I'm anxious to see post-wedding pictures, aren't you??? Allison, you will definitely be missed at the wedding! Thanks for much for being a virtual wedding guest though! 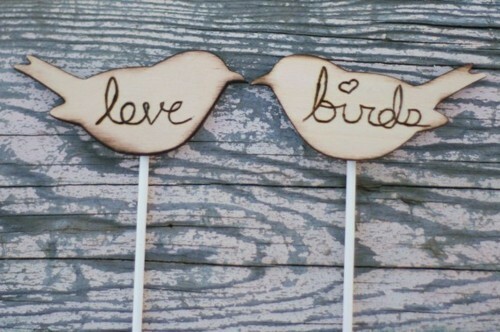 I love the photo booth idea too! We're doing one for our wedding and it's one of the things we're most excited about! Very cute post, and congrats on your engagement! I really liked this one. Very creative and fun!